Full Service Florist. Satisfaction Guaranteed. Family owned & operated for over 27 yrs. Specializing in high style and custom arrangements. We do awesome fruit & gourmet baskets. We are not the average floral shop. We are the largest gift shop in the area. Serving all hospitals & funeral homes. Full Service Florist. Satisfaction Guaranteed. 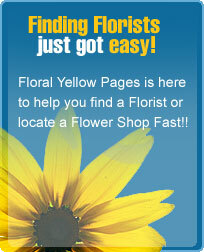 Family owned and operated with over 15 years of floral experience. Specializing in high style and unusual custom arrangements. We cater to large events, weddings, and event planning. Something for everyones taste and budget. Serving all hospitals and funeral homes. Full Service Florist. Satisfaction Guaranteed. Family owned and operated, 3rd generation established in 1909. Specializing in unique and custom arrangements. Something for everyones taste and budget. Serving all hospitals and funeral homes. Full Service Florist. Satisfaction Guaranteed. Family owned and operated since 1960. See what you send! We will email you a picture of your arrangement! Our goal is to exceed our customers expectations with quality, care, and professional service. Serving all hospitals and funeral homes.